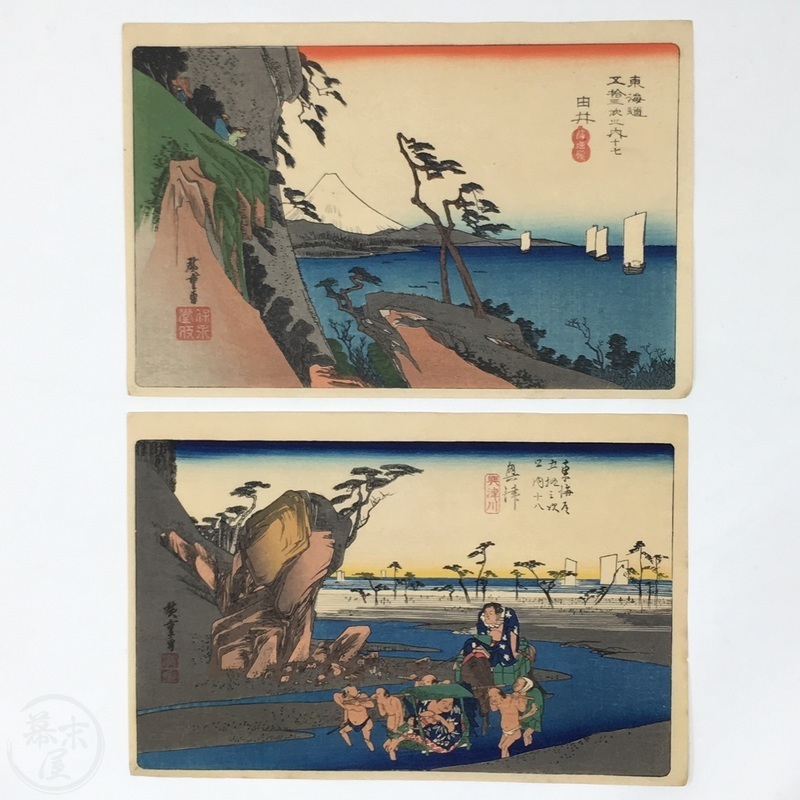 Complete Set of Hiroshige's 53 Stages of the Tokaido Woodblock printed numbered set. 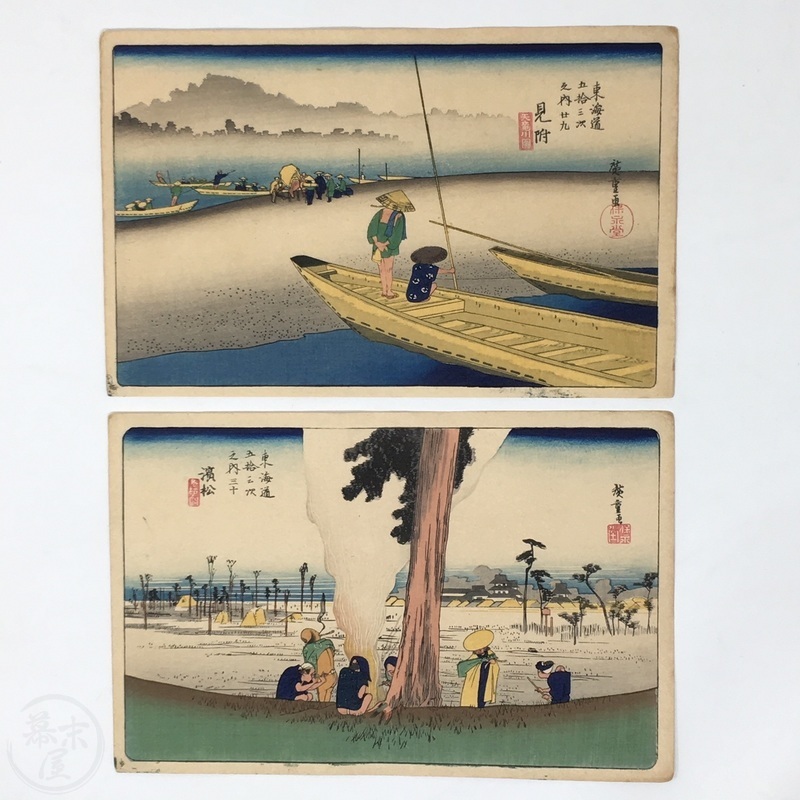 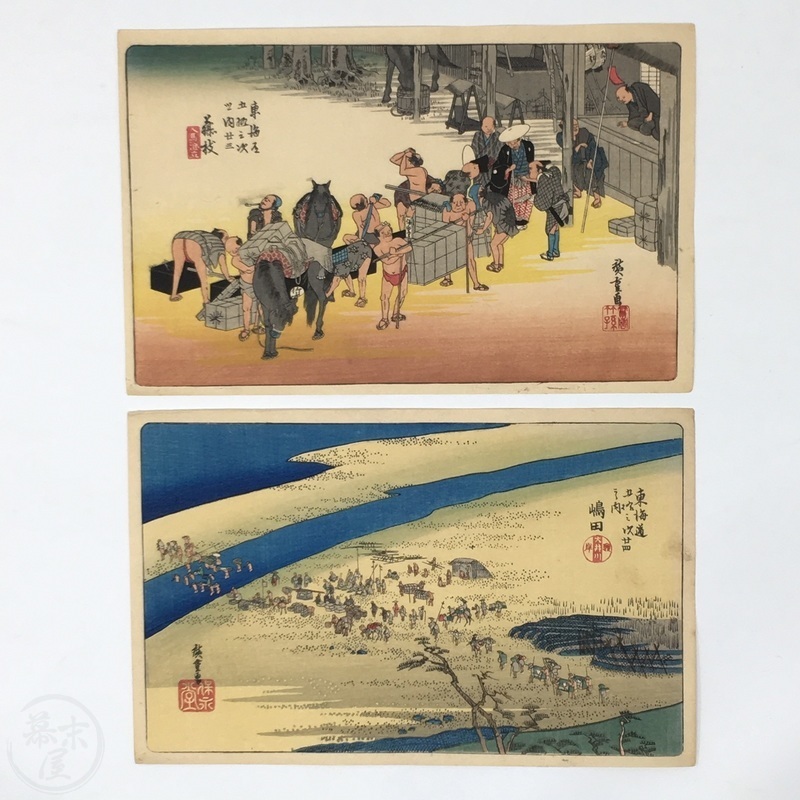 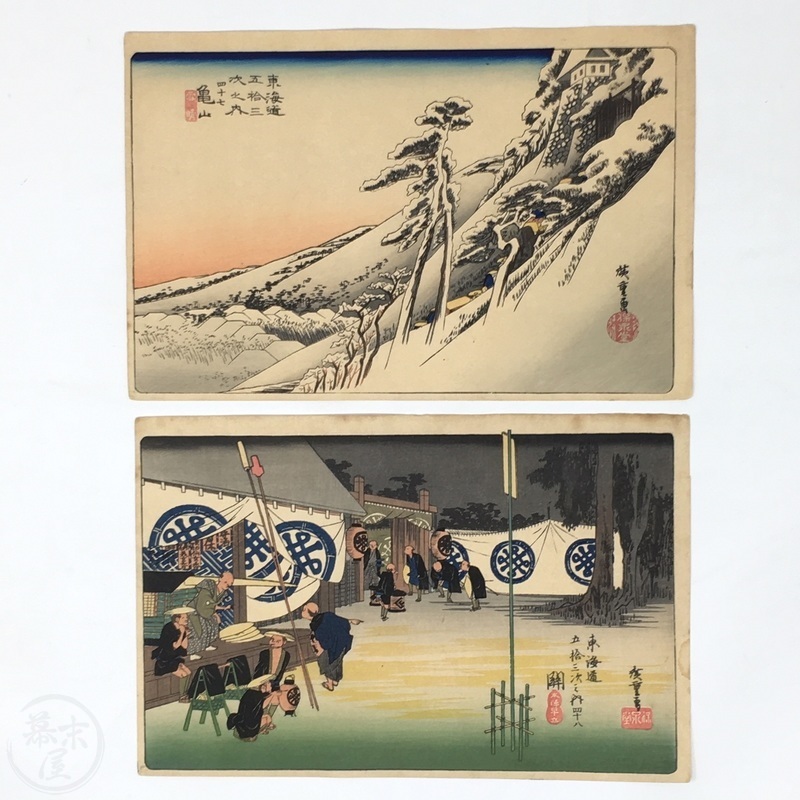 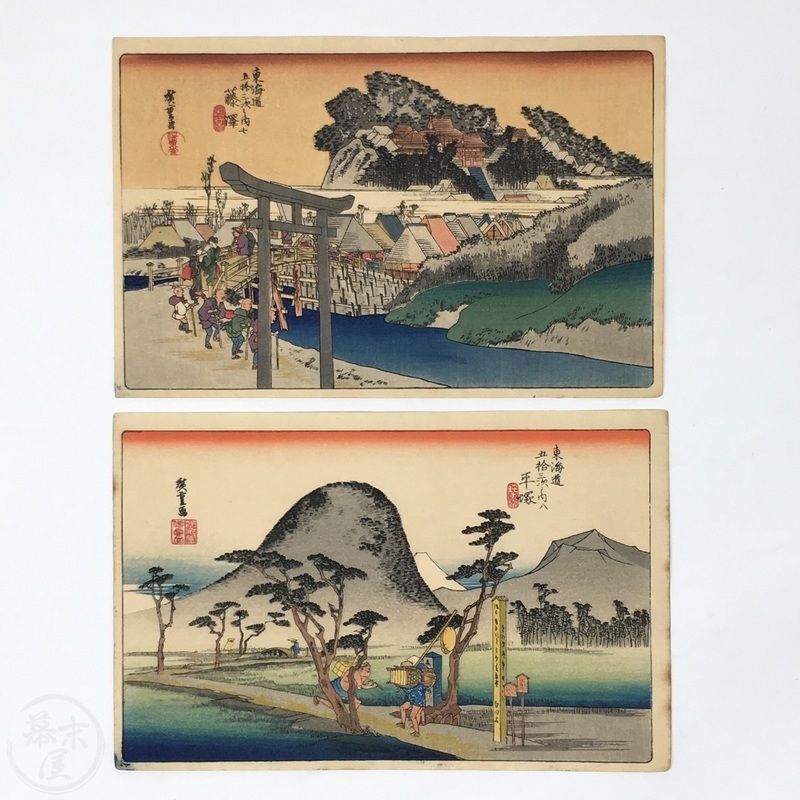 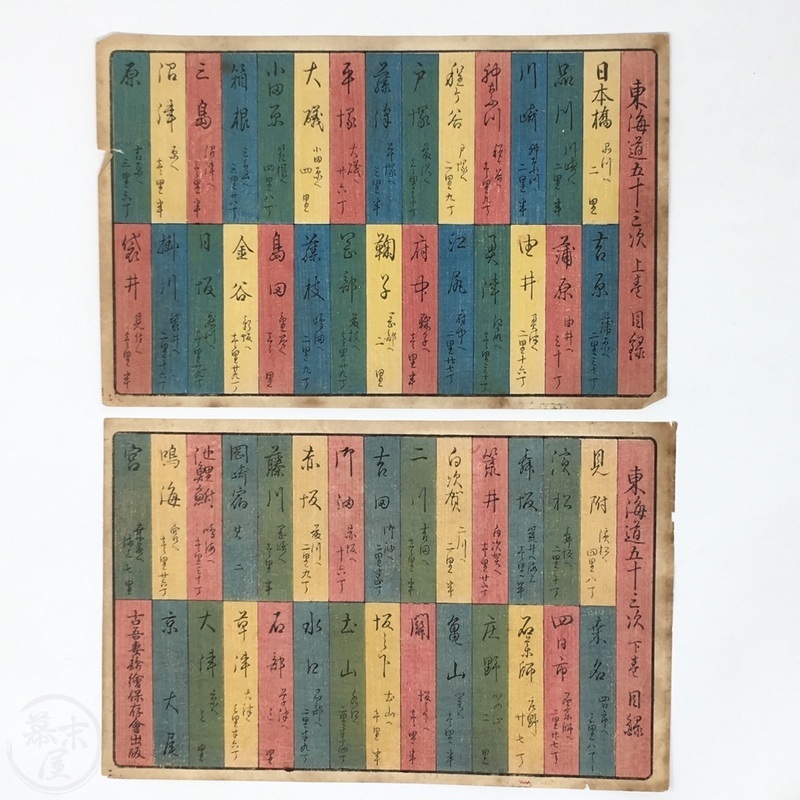 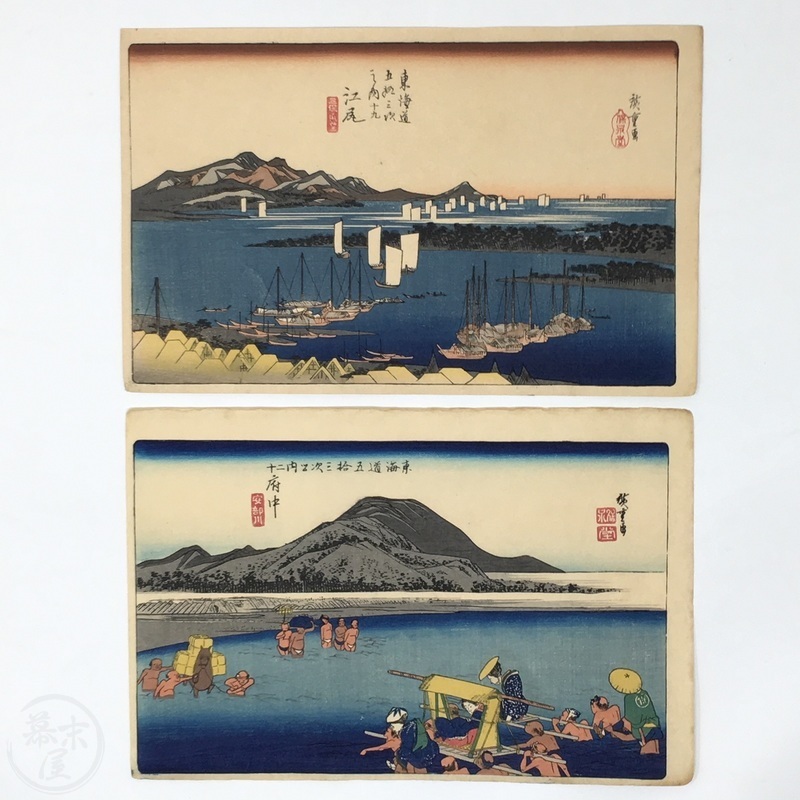 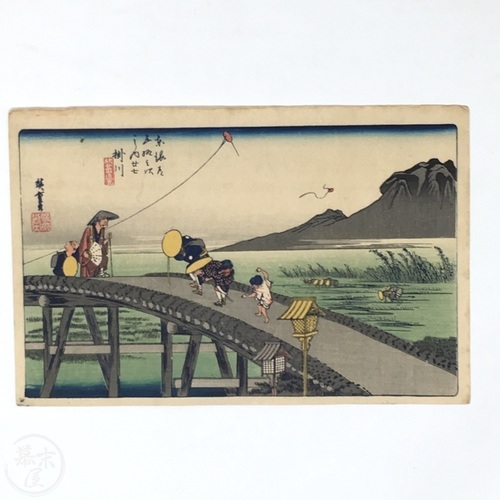 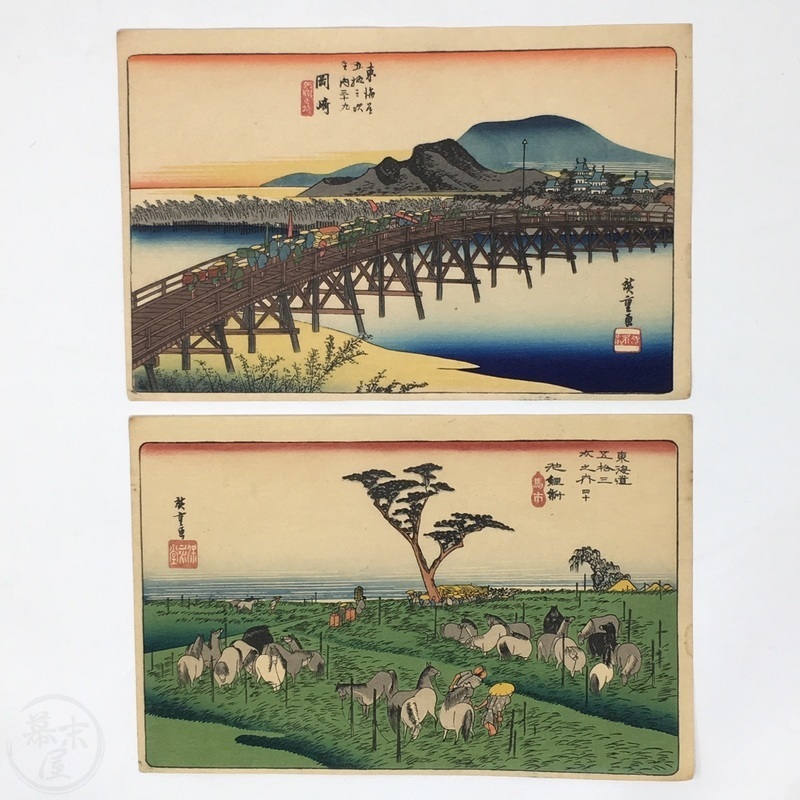 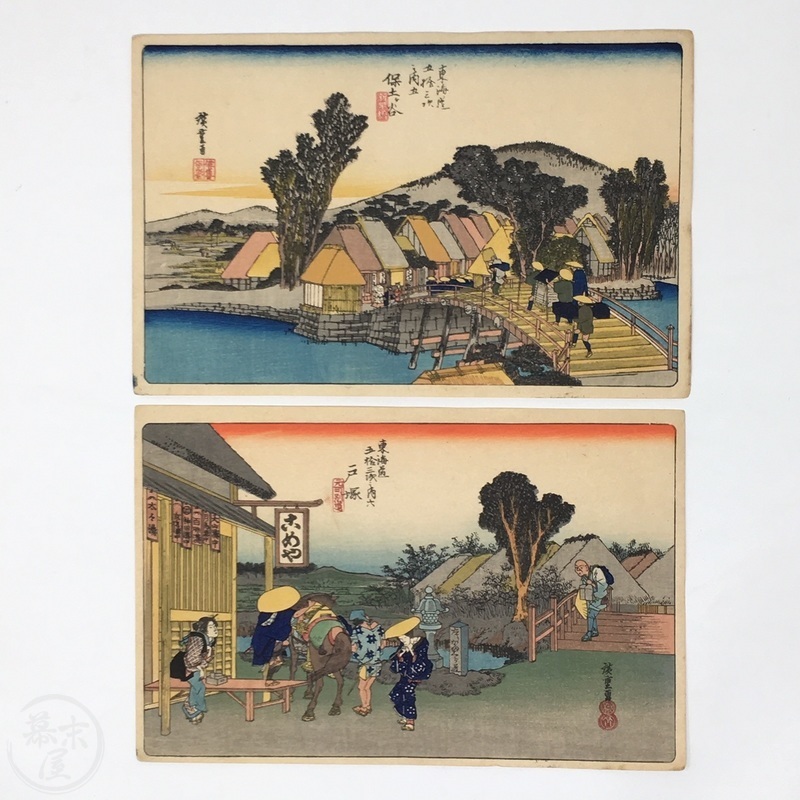 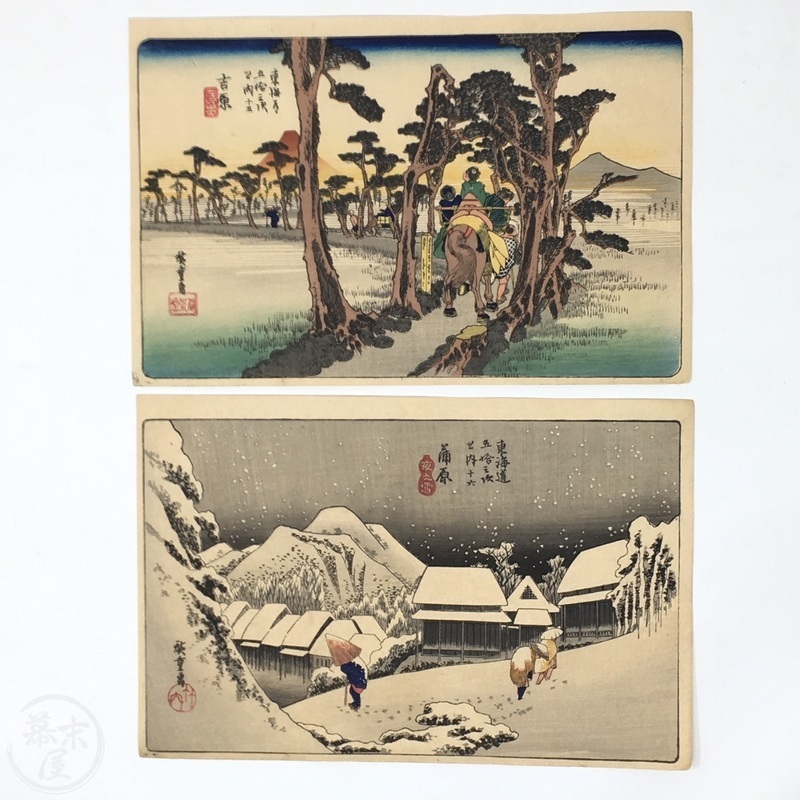 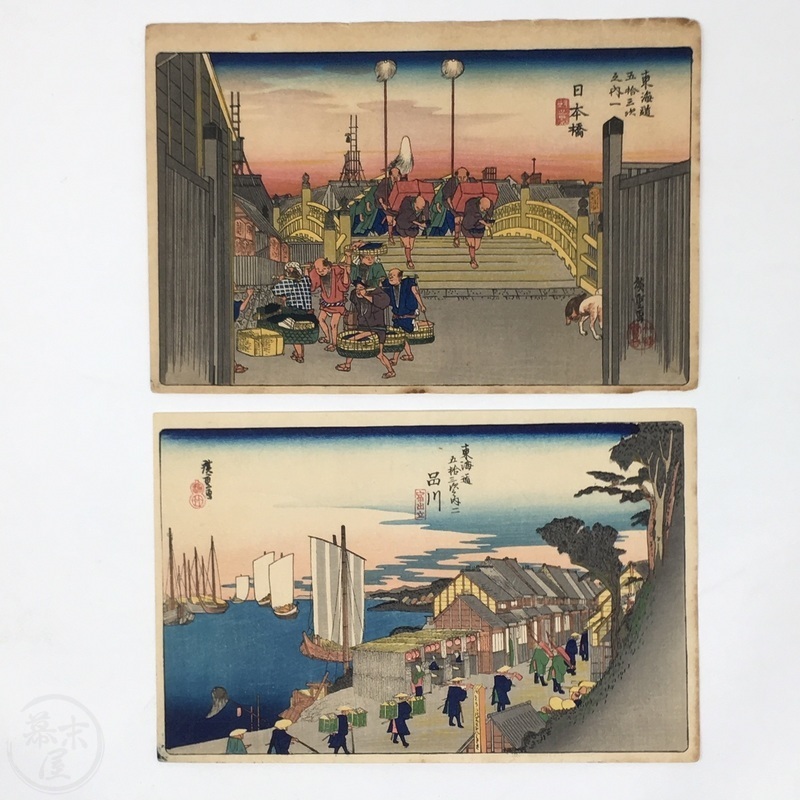 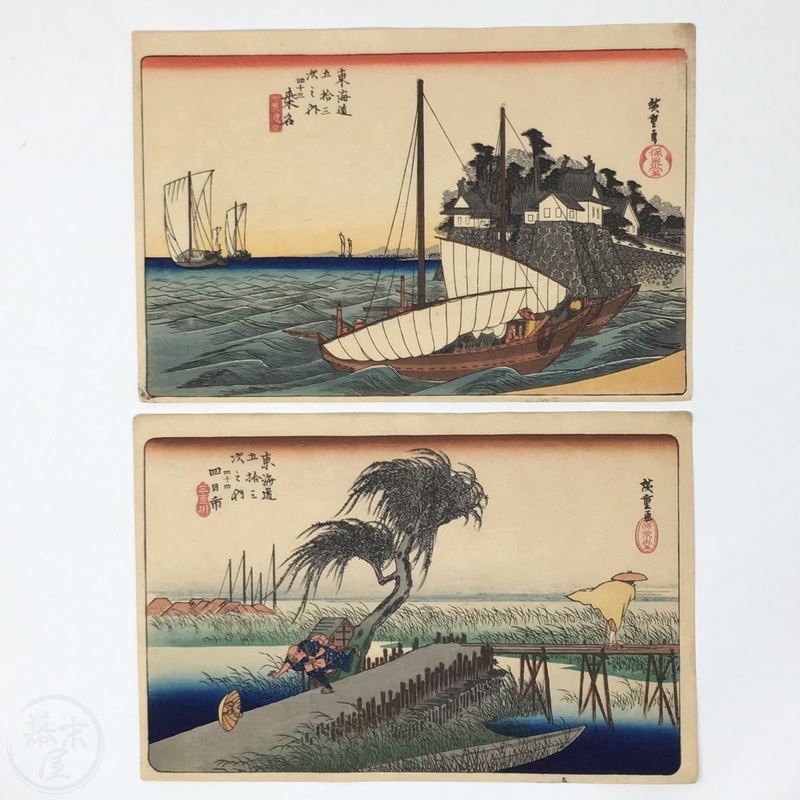 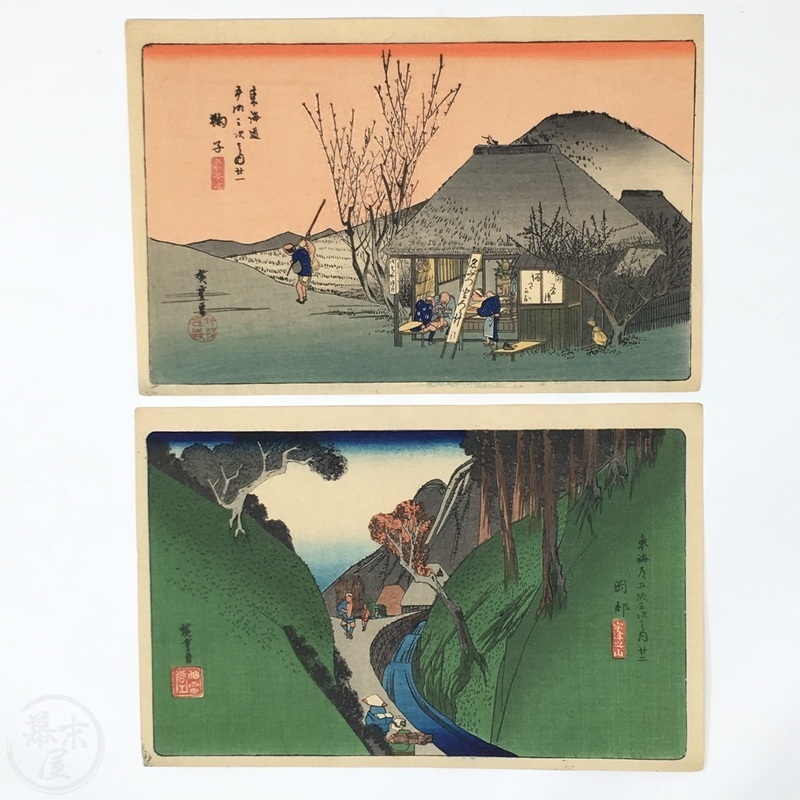 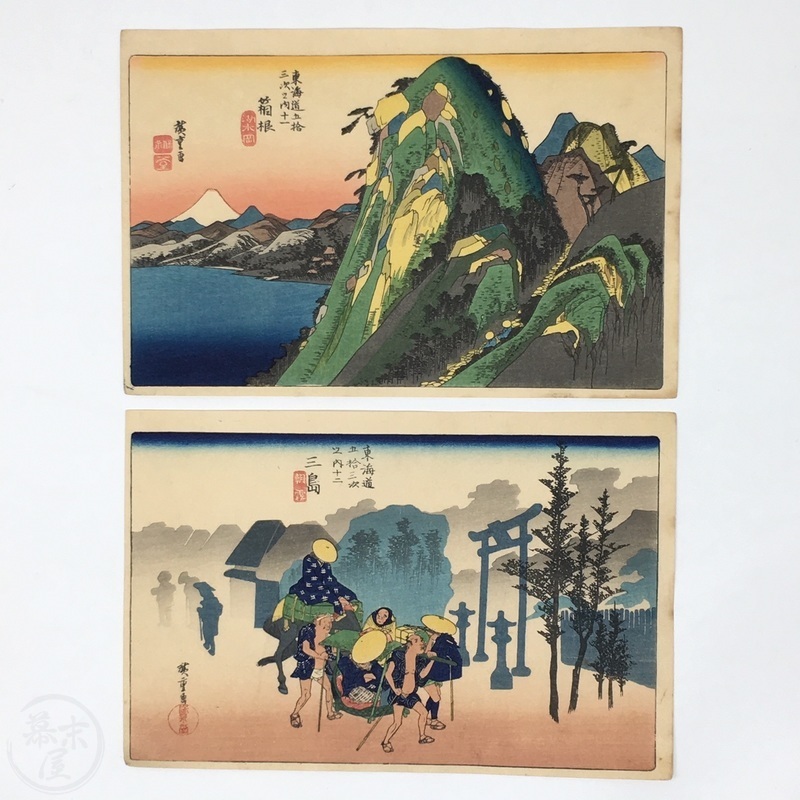 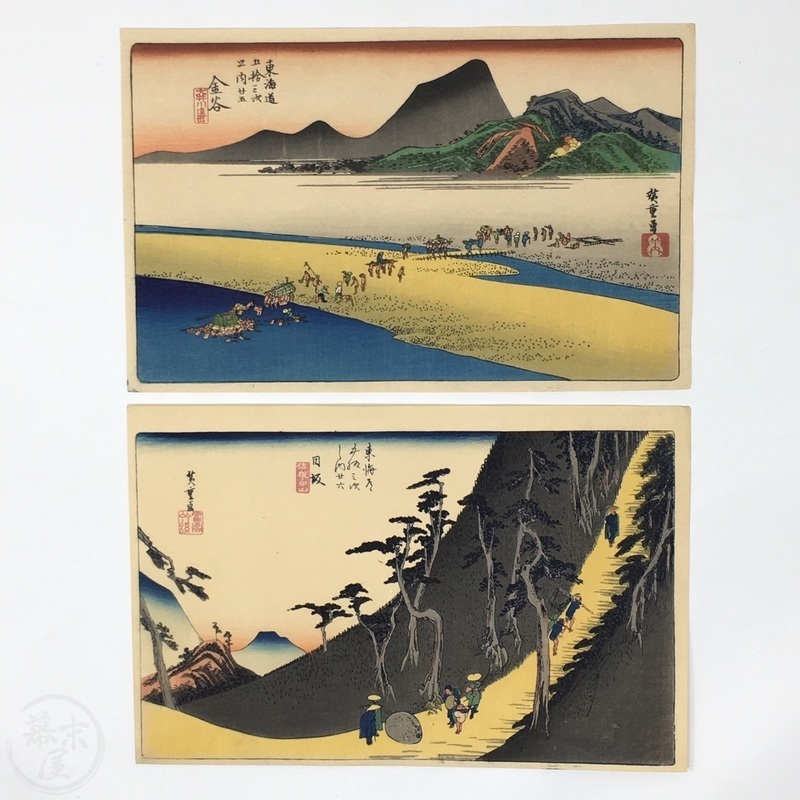 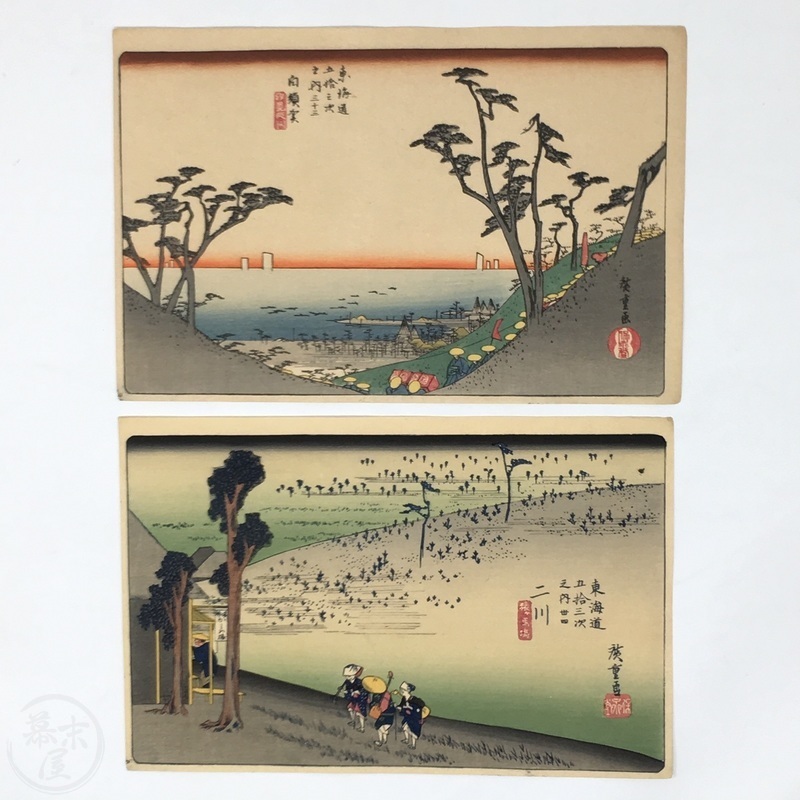 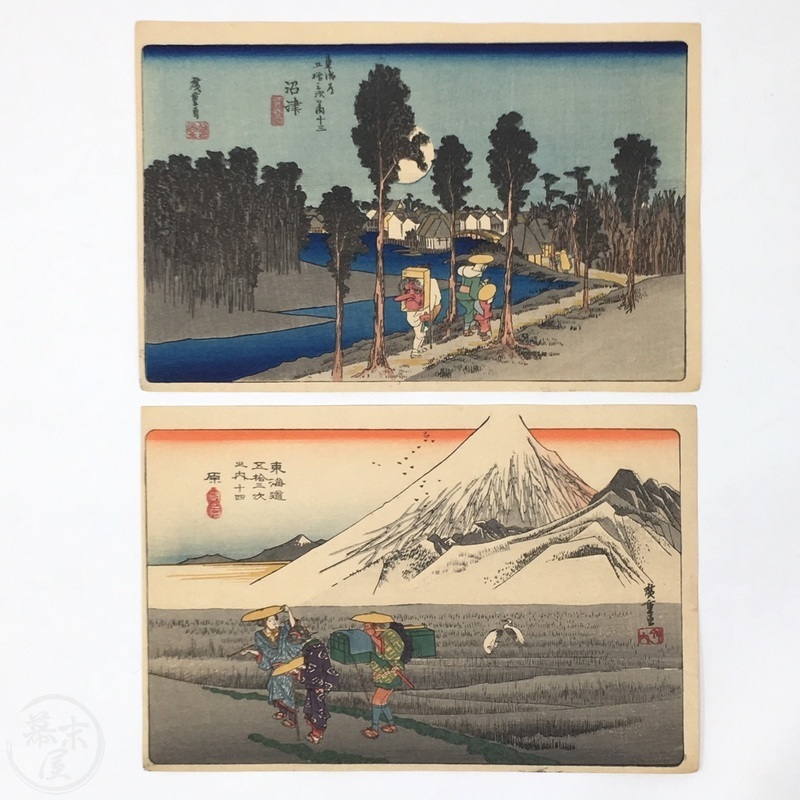 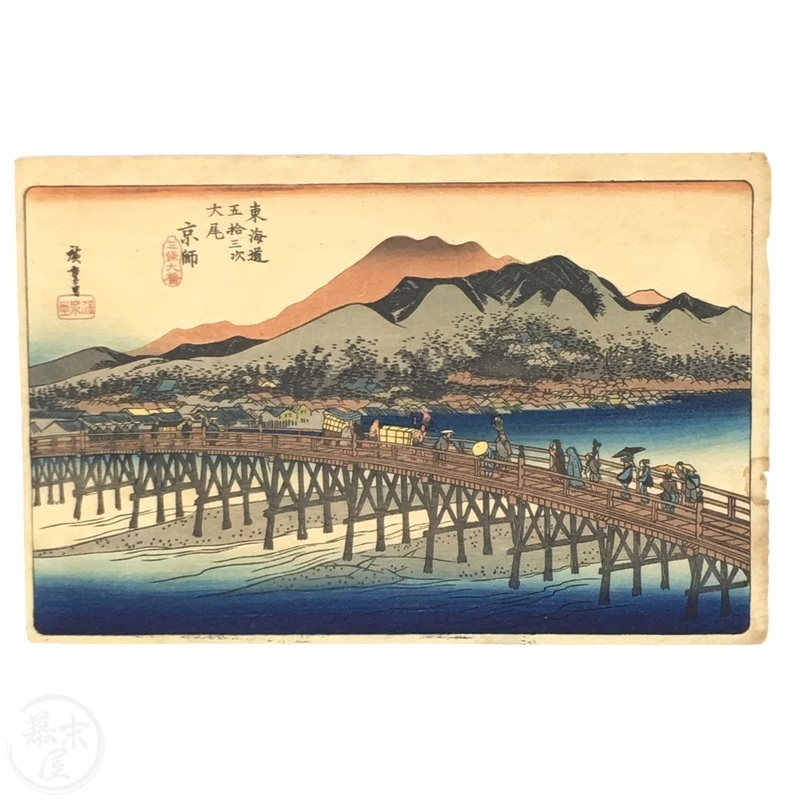 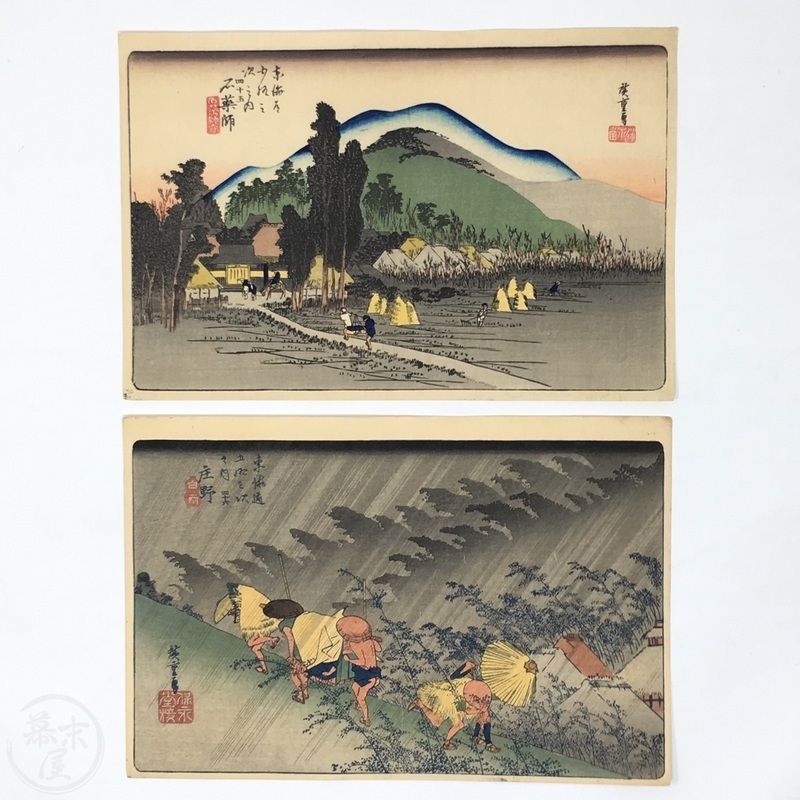 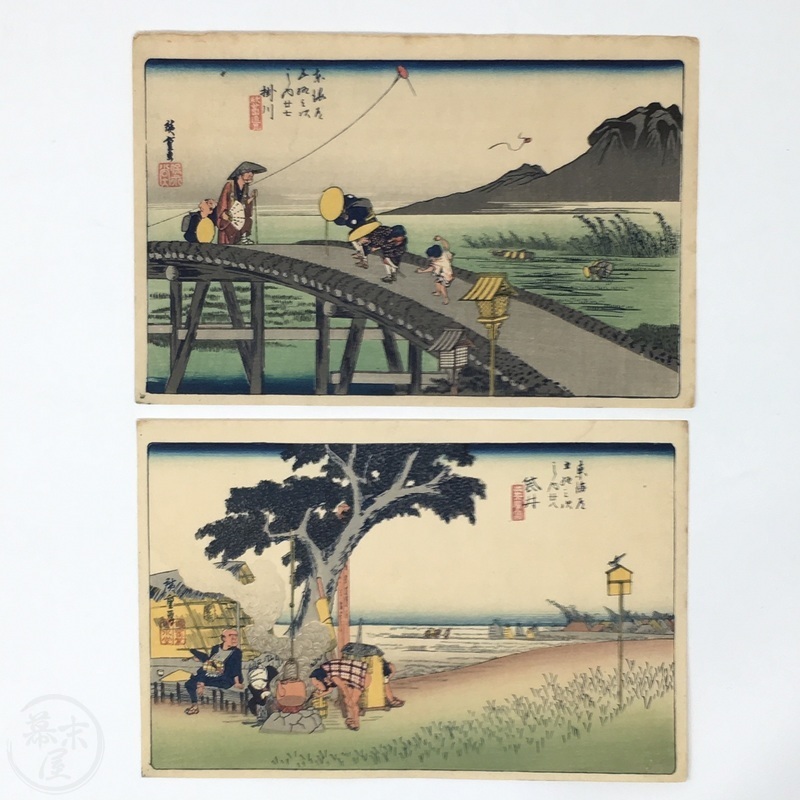 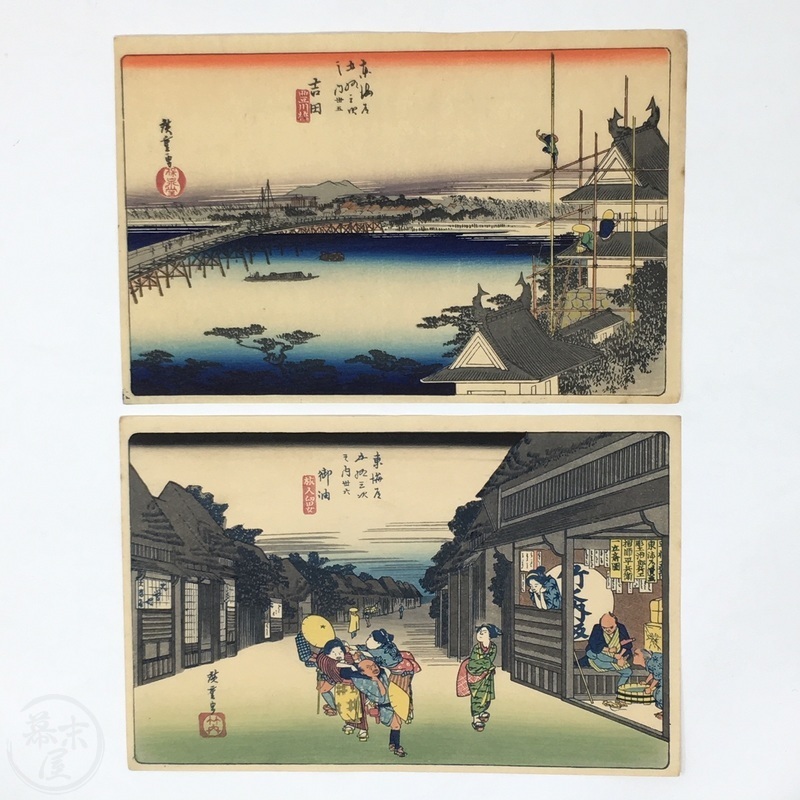 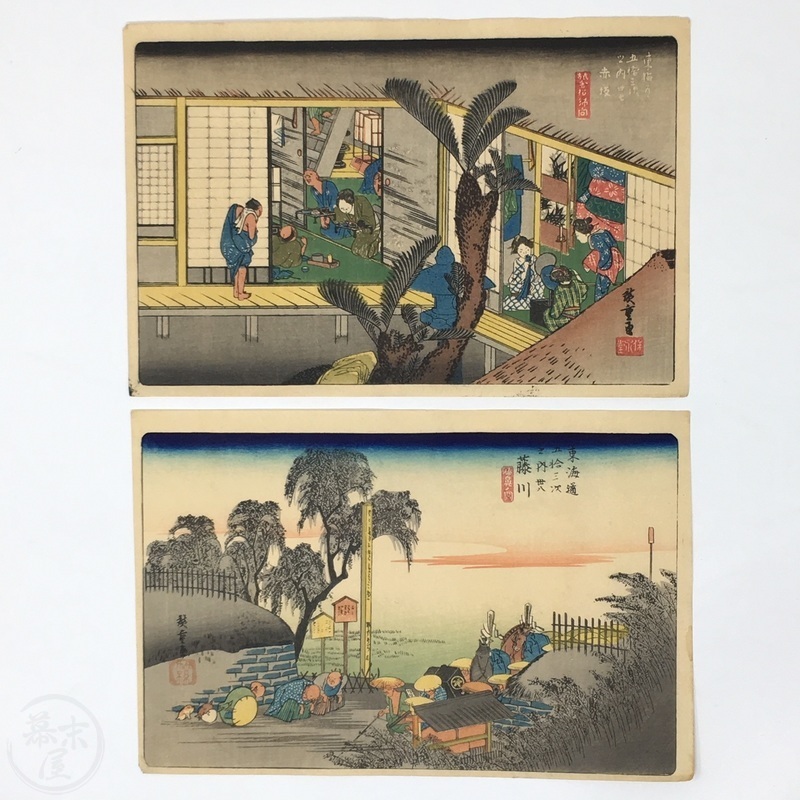 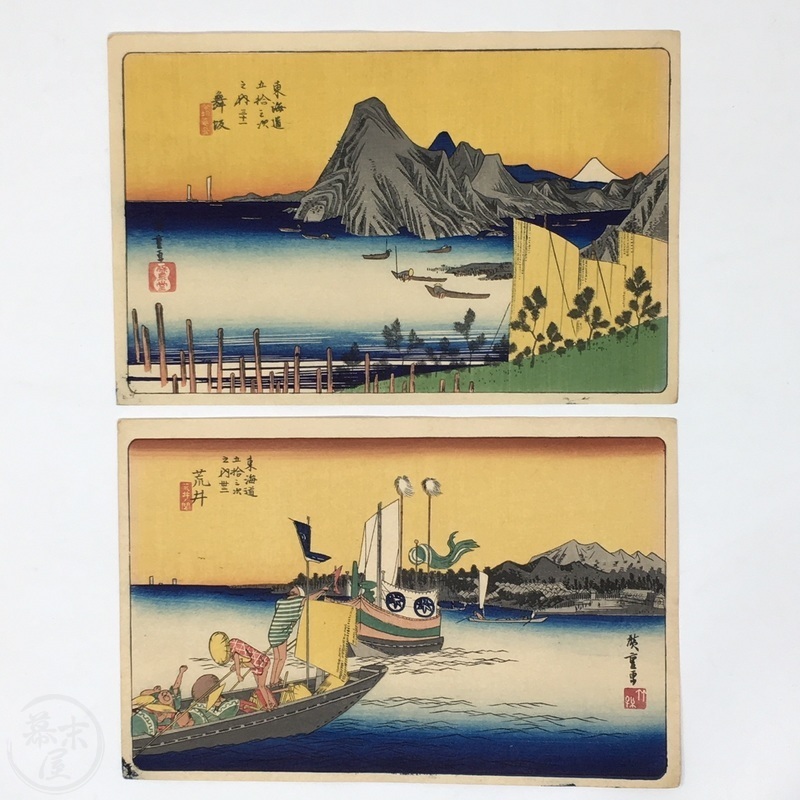 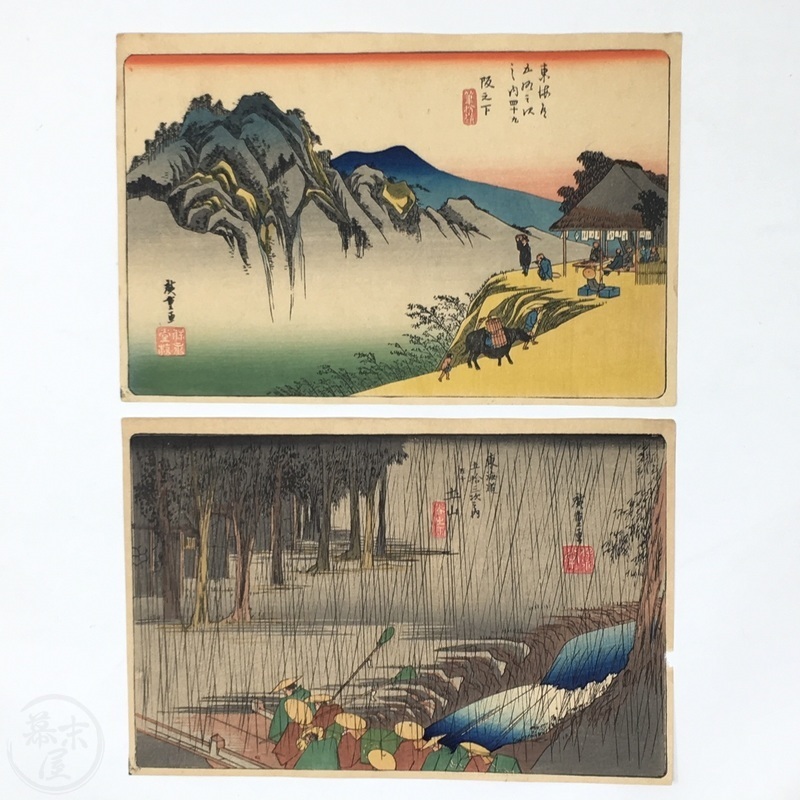 Lovely chuban sized set of Hiroshige's famous series of which there are actually 55 stages and are all included in this set plus the 2 index sheets making for a total of 57 woodblock prints. 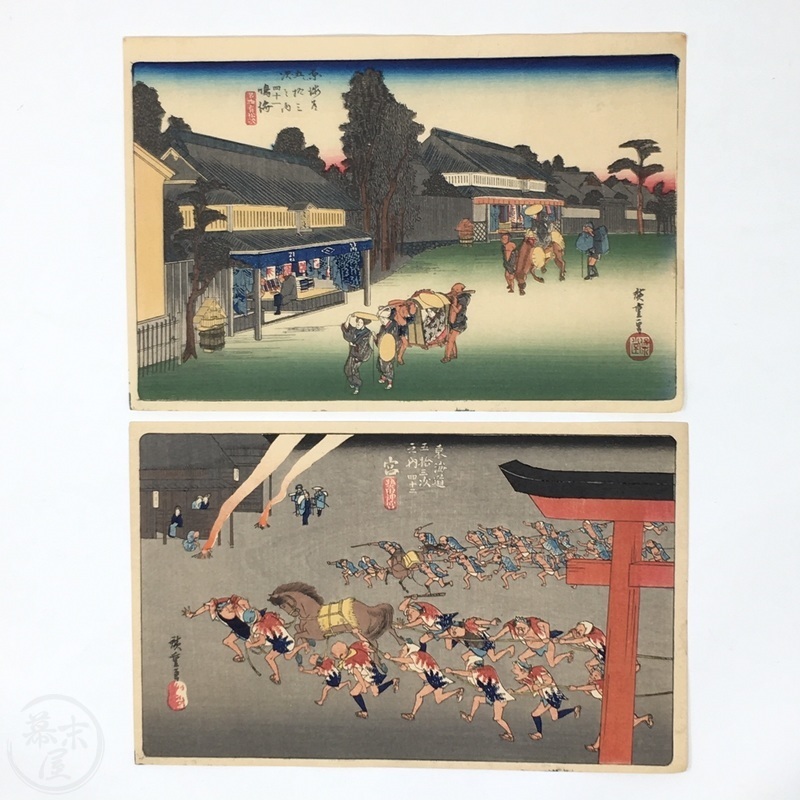 Koazuma Nishikie Hozon Kai Shuppan [Brocade picture preservation association]. 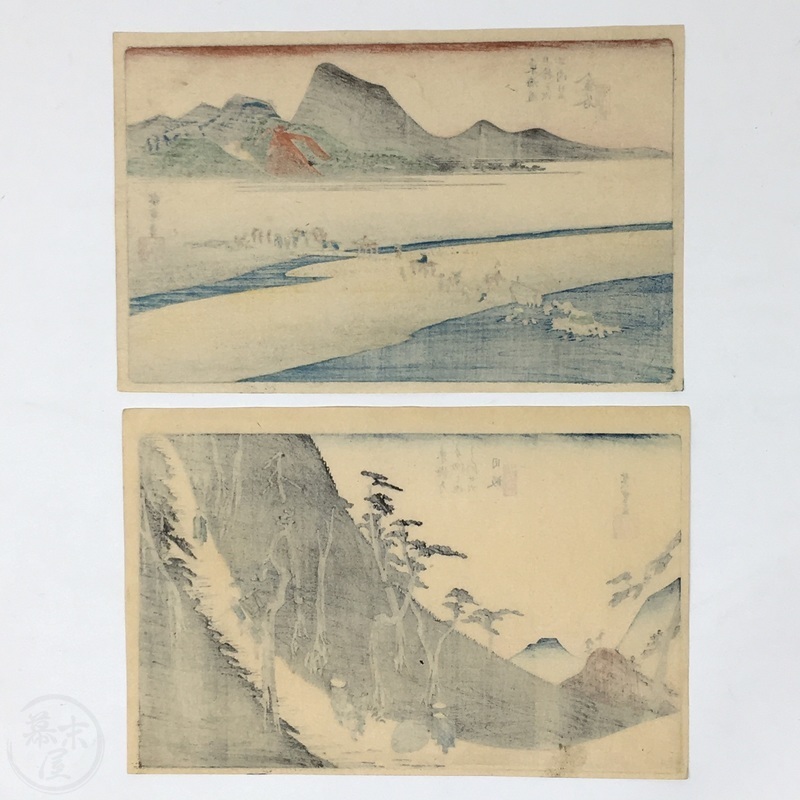 c.1915. 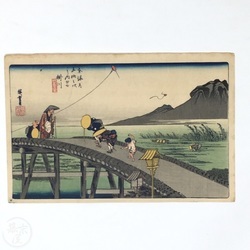 57 prints. 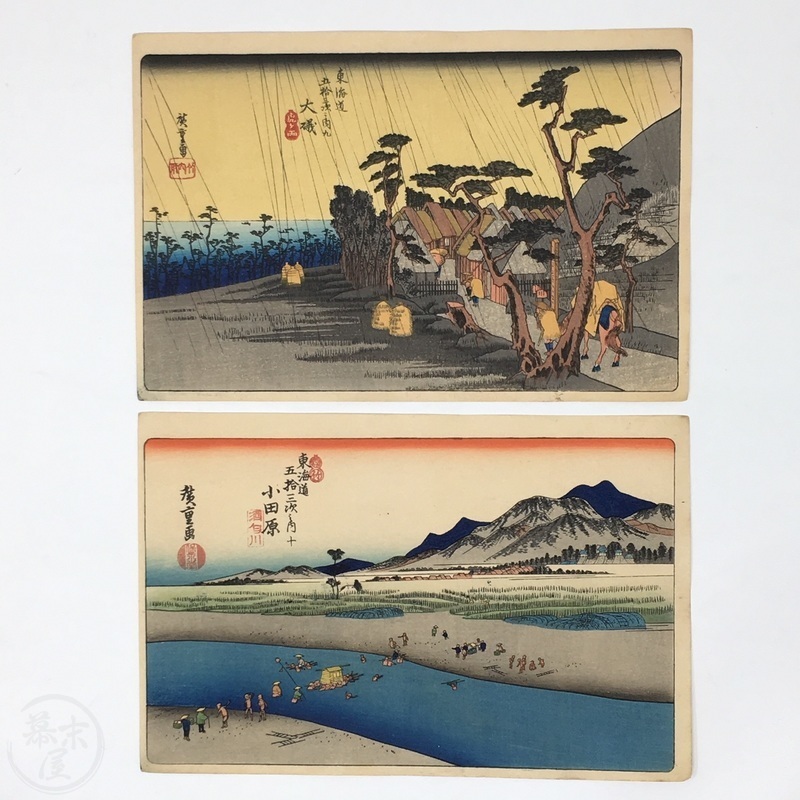 Each 14.5 x 22.2cm. 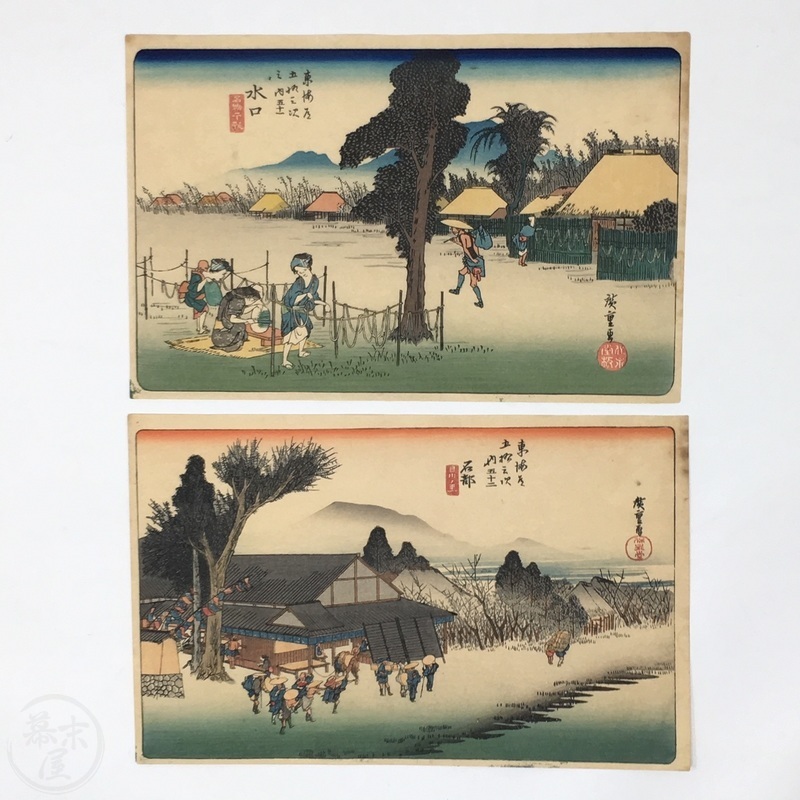 In very good condition with only minor wear. 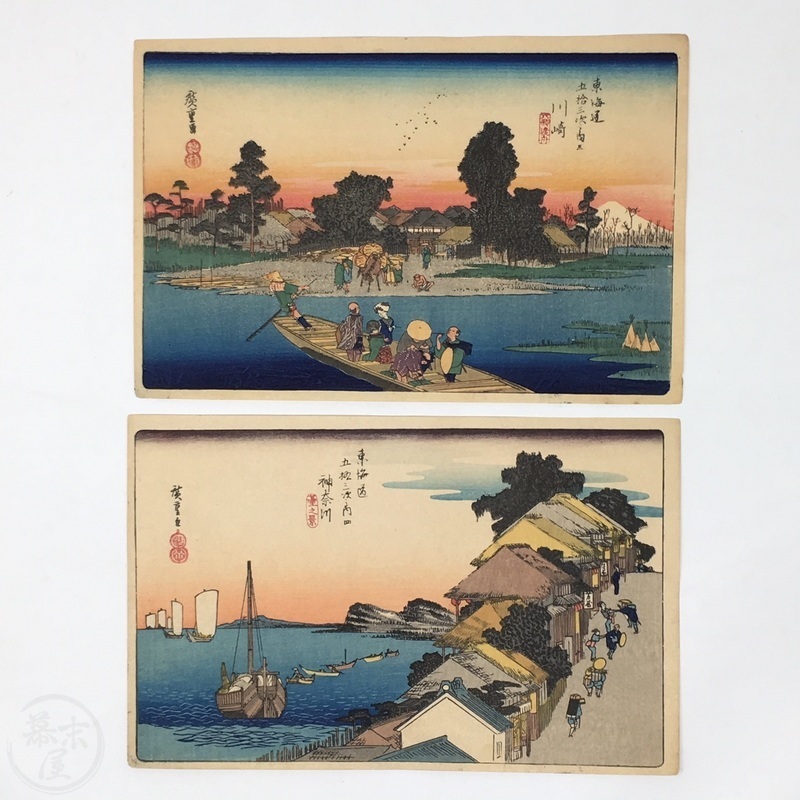 One print has a small chip at the right margin. 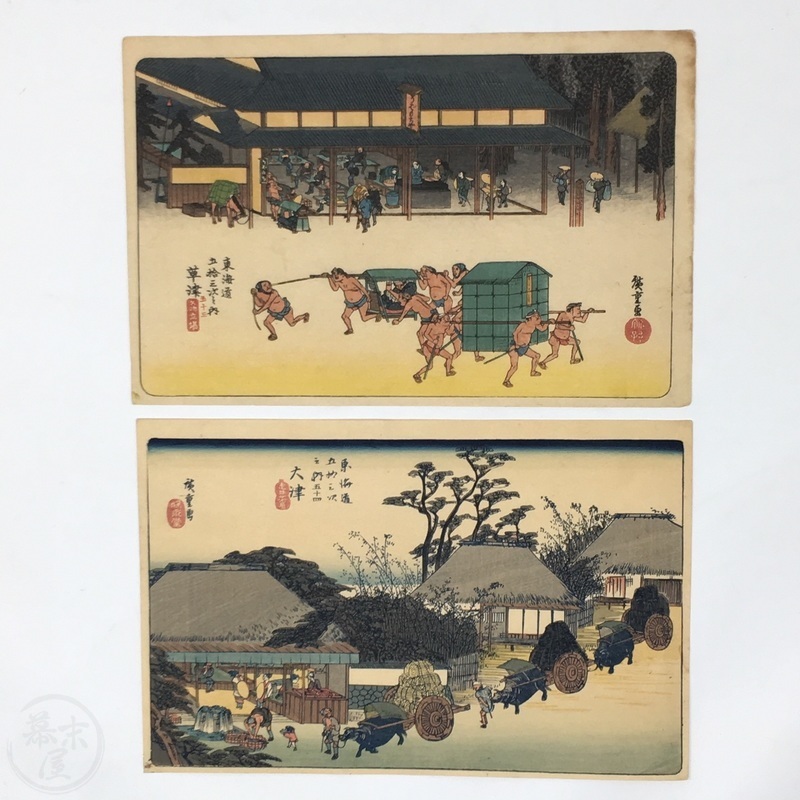 Each is unbacked and shows nice bleedthrough.